I’m sure we all remember being taught the story of the First Thanksgiving. What most don’t know is that much of what we were taught is myth. But, as in most things, the real story is more interesting than the fable. The Thanksgiving story is more about an early form of Communism than it is a warm and fuzzy story about cooperation between the colonists and the Native Americans. 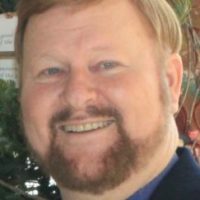 One thing we should get straight from the outset; Thanksgiving to the Pilgrims was not a time for feasting – it was a time for fasting, prayer and gratitude toward God. They had many times of Thanksgiving, but the feast about which we have been taught was not one of them. The idea of referring to the harvest meal the Pilgrims shared with Indians as “Thanksgiving” was an 18th century invention – 200 years after the fact. In part, what we have been taught is true. The Pilgrims’ first winter in frigid New England was indeed terrible. Out of roughly 100 Pilgrims 50 died, including 13 of the 18 wives. Had it not been for the kindness of the Indians, all of the Pilgrims might have perished. They gave the Pilgrims food and taught them to farm. What was in it for the Indians? The tribe who helped the Pilgrims was named Wampanoag (“the eastern peoples” in their language). They were a weak tribe in constant conflict with other tribes. Their alliance with “the coat people” (their name for the settlers) strengthened their standing. They also benefitted from trade. They were happy to trade otter skins for steel knives and axes. After all, since the otters were so plentiful, they were worthless to the Native Americans. But the steel implements were invaluable. So both groups benefitted from their association, and the Indians had good reasons to help the settlers survive. The harvest meal in the autumn of 1621 was meager, because most of their crops failed. And the mood was not joyous. After all, half their number had perished in the months since they had landed. But they were grateful that they were alive, and thankful for what little they had. 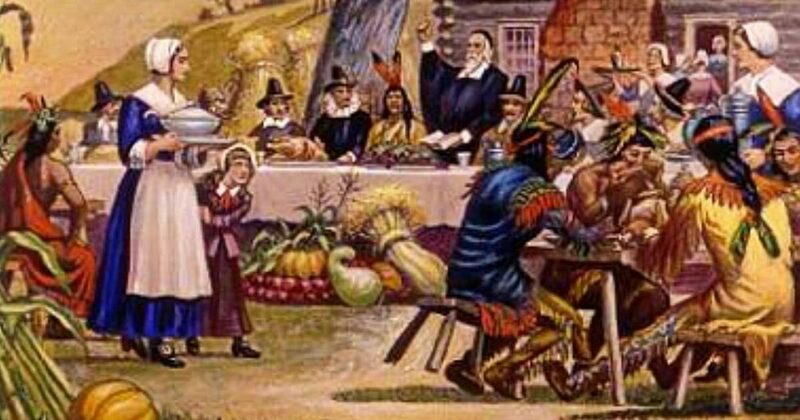 This meal, attended by 53 Pilgrims and 90 Native Americans has come to be known as Thanksgiving Day. Their second harvest was not much better, and the third also failed – in spite of the fact that their Indian neighbors had great crops. The Pilgrim leadership finally started seriously praying about what they were doing wrong. Certainly the climate for much of the year was inhospitable, and none of the Pilgrims were trained in agriculture. But they came to a surprising conclusion: their economic system was unbiblical – and it was killing them! You see, the Pilgrims were the early Communists. This is not my conclusion – it is the conclusion of William Bradford, who was elected their Governor 30 times. Let me introduce you to the only definitive and accurate history of that time. And let me assure you that in this area, as well as many others, the “history” books from which your children learn are politically correct hogwash. Bradford’s book was something of a journal, beginning 12 years before the arrival in the New World. It chronicles the persecution of their denomination, which caused them to first move to Holland where they were freer to practice their religion, and eventually to America. So it would be accurate to say that King James I of England set the events in motion that produced one of America’s favorite holidays! John Carver was the first Governor of the Colony when the Mayflower Compact was signed on November 11, 1620. When he died six months later, he was succeeded by Bradford. Both had been bound by rules set down by the investors who paid for the ship and sailors who brought them to New England, and provided their initial supplies. The investors insisted that everything be owned communally, and that everyone receive compensation equally, regardless of their efforts. “The failure of this experiment of communal service, which was tried for several years, and by good and honest men proves the emptiness of the theory of Plato and other ancients, applauded by some of later times. That the taking away of private property, and the possession of it in community, by commonwealth, would make a state happy and flourishing, as if they were wiser than God. There was tremendous acrimony among these normally peaceful people because of the inequality of labor and reward. Also, much-needed supplies that were due from the investors never arrived. With the Colony on the brink of extinction, Governor Bradford and the Colony’s leaders decided they would abandon the Communistic system that had been forced on them. They gave a plot of land to each family. They prayed that an economic system of private ownership of land would encourage the people to be self-sufficient and produce more and better crops. “This had very good success, for it made all hands very industrious. Much more corn was planted than otherwise would have been by any means the Governor or any other could have devised, and saved him a great deal of trouble and gave far better satisfaction. The women now went willingly into the field, and took their little ones with them to plant corn, while before they would allege weakness and inability; and to have compelled them would have been thought great tyranny and oppression. So after three years of communal living and the famine that nearly wiped out the Colony, the new Capitalist system brought an era of agricultural abundance that allowed the settlers to prosper and play a vital role in establishing the truth of American Exceptionalism. Early on the colonists were under a Communist form of government. Just as in any other nation that has adopted this ridiculous economic path, the people were not motivated to work. The lazy people took as much from the community as the ones who worked. Over time the hard workers slacked off. What was the use of working hard? After Capitalism was unleashed, the very next harvest was far more bountiful than all the previous harvests combined. After that harvest they had a REAL feast. We have so much for which to be thankful. I remember one Thanksgiving Day when a friend saw me working on a construction job. (Our family was having dinner later in the day.) He asked me why I was working on Thanksgiving. I responded that I was thankful I had work! If you have a job, and particularly if you are blessed with abundance, show your thankfulness by sharing with others less fortunate. This is what the Bible teaches. It does not teach forcibly taking from some who work and giving it to others who refuse to work. I consider it a joy to give to people who are genuinely unable to provide for themselves. The Bible calls that “giving alms,” and it is something we are commanded as Christians to do. But the Bible also says that we should not give to those who are able to work. When they get hungry enough, they’ll go get a job. Our nation has become a giant version of Plymouth Colony. Let’s elect leaders who, like Governor Bradford and the other leaders of Plymouth, are smart enough to see the danger and change the course of our nation.